11 games into the 2016-17 Premier League season and it is Liverpool who top the league with 26 points. Could the title and European football be on the horizon for the Reds? Think of what the Champions League odds could be for the Merseyside club given the football they are playing and the manager’s experience in Europe’s elite club cup competition. Manager Jürgen Klopp has put together an exciting team, averaging nearly three goals per game – more than any of their competitors so far this season. During his time at Borussia Dortmund, star centre-back Mats Hummels was constantly linked with a move to Manchester United. Jürgen Klopp all-but-confirmed that the 2014 World Cup winner would not be heading to Old Trafford with the above statement. Hummels would later go on to join rivals Bayern Munich. Bayern Munich dominated the Bundesliga for three seasons under Pep Guardiola before the Spaniard moved to Manchester City this past summer. Despite being a two-time champion of Germany with Borussia Dortmund, Jürgen Klopp failed to compete with Guardiola’s side, which led to him coming out with the above comment, presumably referring to Bayern buying two of the top stars from Klopp’s side – Robert Lewandowski and Mario Götze. Following a 5-2 thrashing of rivals Bayern Munich in the 2012 German Cup final, the former-Dortmund head coach had the cheek to complain about the weather! 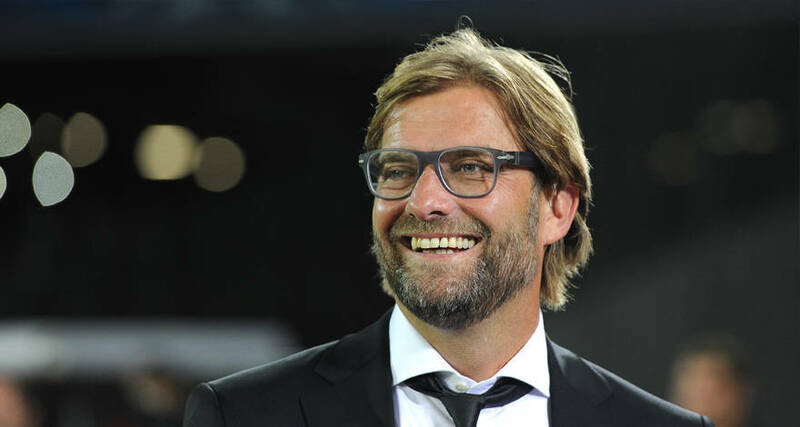 Prior to a UEFA Champions League clash with Arsenal in 2013, Jürgen Klopp opted for a musical analogy to describe how his style of football differed from Arsène Wenger’s. The Revierderby is arguably the biggest rivalry in Germany. When Borussia Dortmund and Schalke 04 meet it’s pretty intense. Jürgen Klopp intensified things one season with this comment about Schalke fans. After defeat to Napoli in a Champions League group stage game, Klopp wasn’t afraid to speak out about the officials after being sent to the stands. The current Liverpool boss isn’t also afraid to speak out about fixture congestion either. He can expect a lot of this in the Premier League in the future given the number of his rivals who have had issues with the FA’s arrangements over the years. With Bayern Munich’s big money spending in comparison to both Borussia Dortmund and the rest of the Bundesliga, Klopp kept his chin up by referencing Robin Hood. To showcase his football knowledge ahead of a Champions League knockout round clash with Juventus in 2015 Klopp joked about how defensive Italian football teams play. Unfortunately the Italian giants thrashed his side 5-1 on aggregate. After losing to Bayern Munich in the 2013 Champions League final at Wembley, the German coach enjoyed his time in London but for the rest of the football match. Describing one particularly poor first-half performance he gave a half-time team talk for the ages. In a losing battle both in the league and keeping hold of his star players, Klopp was certainly disgruntled when discussing Mario Götze’s move to rivals Bayern Munich. During his early days as Borussia Dortmund head coach, it had been a long time since the Yellow-Blacks last beat Bayern in Munich. After a 2-0 defeat at West Ham, Klopp suggested that he would not sulk over the result just like he doesn’t over-celebrate victories. After hammering Manchester City 3-0 days after their League Cup final defeat to the same team the Liverpool manager was extremely happy with the result.